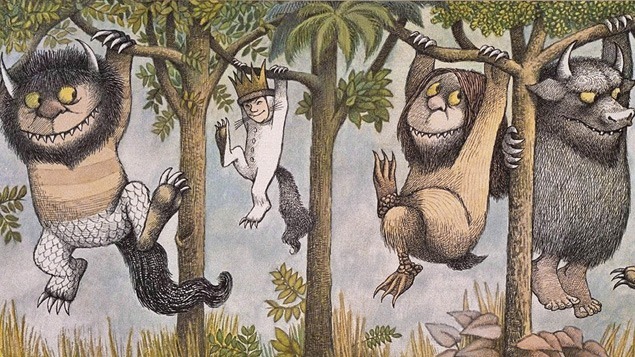 Maurice Sendak: 50 Years, 50 Works is a comprehensive memorial exhibition of 50 select artworks by the late author, artist and illustrator Maurice Sendak celebrating the 50th anniversary of the publication Where the Wild Things Are, Sendak’s universally revered children’s book. Presented by the Nevada Museum of Art Education Department, the exhibition is geared towards children and families and is accompanied by special family events for all ages, storytelling in the galleries, special classes, film screenings, and literacy and writing workshops. The exhibition includes works in a variety of media and offers a survey of the highlights of Sendak’s career and the diverse art forms in which he was renowned. From children’s literature and Broadway to the opera, animated films and young adult textbooks, Sendak remained an iconic American illustrator and author, acclaimed around the world for his genius and influence on generations of readers and young adults. This exhibition was organized by Opar, Inc. and AFA, New York. Special thanks to AFA, New York for their support.